Home » Blog » What the Health… is Wrong With This Documentary?! 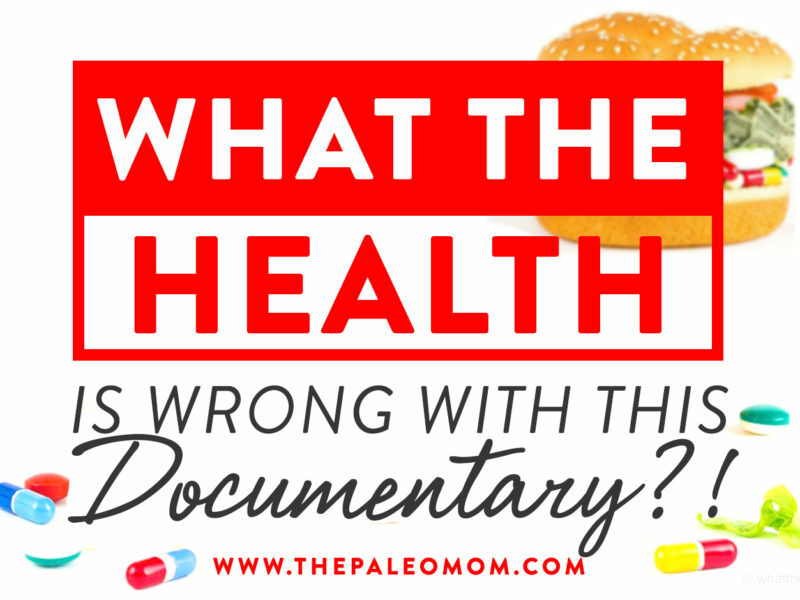 What the Health… is Wrong With This Documentary?! In recent years, a number of health documentaries have been hitting the airwaves and bringing dietary information (and misinformation!) to the general public. In particular, films promoting veganism and plant-based diets (like Forks Over Knives and Cowspiracy) have gained widespread attention, leaving many viewers questioning whether eating animal products (even nutritious organ meats, seafood, and broth!) is really the way to go. The most recent addition to that list is What the Health, a documentary that follows Kip Andersen (a filmmaker and self-described recovering hypochondriac) as he investigates the links between diet and our modern disease epidemics… and the corporate interests that try to bury those links for the sake of making a profit. Motivated by his own family history of diabetes, heart disease, and cancer, Kip interviews a variety of doctors and patients who all offer the same consistent message: ditching animal products and adopting a plant-based diet is key for getting (or staying!) healthy. If you’re already feeling skeptical, good! Like other “one true diet” documentaries, What the Health cherry-picks most of its information to promote an oversimplified (and in many cases, flat-out wrong) message about diet and human health. Although there are some legitimate points about corporate greed and factory farming that people across the dietary spectrum could agree with (we’ll get to that a bit later! ), those highlights are far outweighed by the fearmongering, misinterpretations, logical fallacies, and seriously bad science filling up this 97-minute film. Let’s take a closer look at where What the Health gets it wrong (and for the sake of balance, where it occasionally gets it right!). Processed Meat as a Group 1 Carcinogen: Goodbye Bacon?! This documentary opens as Kip makes a startling discovery about one of America’s favorite meat categories: he learns that the World Health Organization (WHO) classifies processed meat (including bacon, ham, hotdogs, and sausage) as a Group 1 carcinogen… the same category where tobacco and asbestos are. (You might remember all the media fuss that happened in October 2015 when this classification was first announced!) And in case that’s not bad enough, he narrates that red meat is classified as a Group 2 carcinogen, suggesting we should also fear foods like fresh unprocessed beef. To drive the point home, the film flashes a series of alarming news soundbites, one proclaiming that “hotdogs or bacon could be just as dangerous as smoking cigarettes.” Reflecting on all the processed meat he ate as a child, Kip wonders out loud why it’s even legal for kids to be eating foods that are labeled the same as cigarettes! Scary, right? In fact, the World Health Organization has a page dedicated to clearing up the confusion about red or processed meat and cancer (see: Q&A on the carcinogenicity of the consumption of red meat and processed meat). This page notes that the group classifications “describe the strength of the scientific evidence about an agent being a cause of cancer, rather than assessing the level of risk.” Although they’re all considered carcinogens, tobacco and asbestos raise cancer risk significantly more than processed meat. Likewise, calling red meat a Group 2A carcinogen isn’t as damning as it sounds (especially since the documentary never explains what a Group 2A carcinogen actually is: the WHO defines this as “probably carcinogenic to humans,” but with limited evidence and possible confounders). The official report by the International Agency for Research on Cancer (which was responsible for giving red and processed meat their classifications) notes that for the link between red meat and cancer, “Chance, bias, and confounding could not be ruled out,” that “no clear association was seen in several of the high quality studies,” and that “residual confounding from other diet and lifestyle risk is difficult to exclude.” Other Group 2 carcinogens include drinking very hot beverages and working as a hairdresser! That being said, there are legitimate ways that meat (especially processed meat) could raise our risk of certain cancers, but those mechanisms are extremely context dependent and are no reason to go completely vegan. For example, as we looked at in The Link Between Meat and Cancer, the carcinogenic potential of heme (in fresh or processed red meat) is mitigated by eating our meat alongside veggies rich in chlorophyll (which blocks the metabolism of heme in the intestine due to its similar molecular structure). Certain processing and cooking methods (especially high heat and/or open flame) can create carcinogens like heterocyclic amines, but that just means we should focus on gentler, lower-temperature ways of preparing our meat instead of doing lots of grilling and frying. 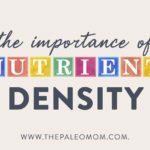 In other words… there’s nothing in this segment that should cause alarm for people eating nutrient-dense, whole-foods omnivorous diets like Paleo (keeping in mind that, contrary to what some people seem to think, Paleo is not based on bacon!)! Covering Up the Truth About Meat? But, it doesn’t end there. The documentary rolls onward to show Kip surfing the American Cancer Society’s website and becoming shocked that not only do they not warn against eating processed meat on their homepage, but they also endorse some processed meats (like turkey ham and canned meats) on their Eat Healthy page. This riles Kip up enough to call the American Cancer Society directly and ask a cancer information specialist why the ACS recommends Group 1 carcinogens on their website (which he compares to a lung association having a “how to roll your own cigarette” page on theirs). The cancer information specialist asks to place Kip on hold, but ultimately, Kip doesn’t get the answers he’s looking for. As presented in the film, this scene might look pretty bad for the ACS. How could a “cancer information specialist” not be able to answer questions about diet? Why would they stall and dodge the topic? Doesn’t that seem like something shady is going on? But, the conspiracy vibe changes when we look closer at what’s really going on. Kip appears to have contacted the society’s 24/7 call center, which is designed customer-service style to help patients with questions about treatment options, side effects, getting a ride to chemo, emotional support, medications, and similar topics. The cancer information specialists are call center representatives operating off scripts, not experts who are trained in the medical field (and not web consultants who would know why certain things are or aren’t included on the ACS’s website!). It shouldn’t be a surprise that Kip doesn’t get a serious response to his accusations. Essentially, What the Health created a setup (or cleverly edited their footage) to make it look like the ACS is withholding information about meat and disease. So, why is this phone scene so important? Because it’s the first of many in which Kip finds himself shut out by various organizations in his quest to investigate the meat-and-disease link… leading him to conclude there’s a massive conspiracy going on (rather than concluding that he’s not contacting people who can actually answer his questions, that these types of organizations are wary of getting their time wasted by people with an agenda, or that his accusatory approach makes him seem like a loony right off the bat). And, what’s more, this scene symbolizes What the Health’s biggest problem: the film comes across as a witch hunt for cover-ups about animal foods, crafting a narrative in which plant-based diets are a cure-all that the big, bad medical world doesn’t want us to know about. Now, this isn’t to say that organizations like the American Cancer Association, American Diabetes Association, and American Heart Association are doing a great job promoting prevention through diet. As we’ll touch on later, many of these organizations indeed receive industry funding that could influence their recommendations, and their focus is often more on pharmaceuticals than on food. But, the idea that they’re selectively suppressing information about meat and plant-based diets is where What the Health goes off the rails. If health organizations are going to be accused of industry influences, we’d also need to talk about heavily processed grains, omega-6-rich vegetable oils, and other food components with clear links to disease that aren’t firmly shunned by such organizations. If there is a conspiracy, animal foods are hardly the biggest part of it! Throughout the film, Kip interviews doctors and researchers who drive home the message that diet and lifestyle are the most important components of disease prevention—enough to trump genetic predisposition to things like heart disease, even. That’s something most of us can agree with, regardless of what specific diet we’ve chosen for ourselves (frankly, moving any direction away from the Standard American Diet will probably improve our health at least a little bit!). But, these experts also draw similar conclusions about what our dietary changes should be… and at the top of the list for all of them is ditching animal products. Alan Goldhamer, who promotes a plant-based vegan diet at the TrueNorth Health Center. Joel Kahn, a vegan cardiologist. Michael Greger of NutritionFacts.org, an outspoken advocate of plant-based diets. Milton Mills, a vegan physician and advisory board member for the Physicians Committee for Responsible Medicine (PCRM). Michelle Macken, vegetarian for 24 years and vegan for 8. Michael Klaper, promoter of a 100% plant-based diet. Neal Barnard, president of PCRM. Caldwell Esselstyn, plant-based diet advocate at the Cleveland Clinic. Kim A. Williams, a vegan cardiologist. As we can see, some of these doctors have connections to the vegan/animal rights organization Physicians Committee of Responsible Medicine (PCRM), some have personally been vegan for many years, and some have written books promoting plant-based diets… but in every case, one thing’s for sure: these experts are in the minority within the health and medical establishments in their promotion of a strict no-animal-food diet. So, what’s wrong with this picture? This film creates the illusion of consensus by only interviewing people who already agree with its message. 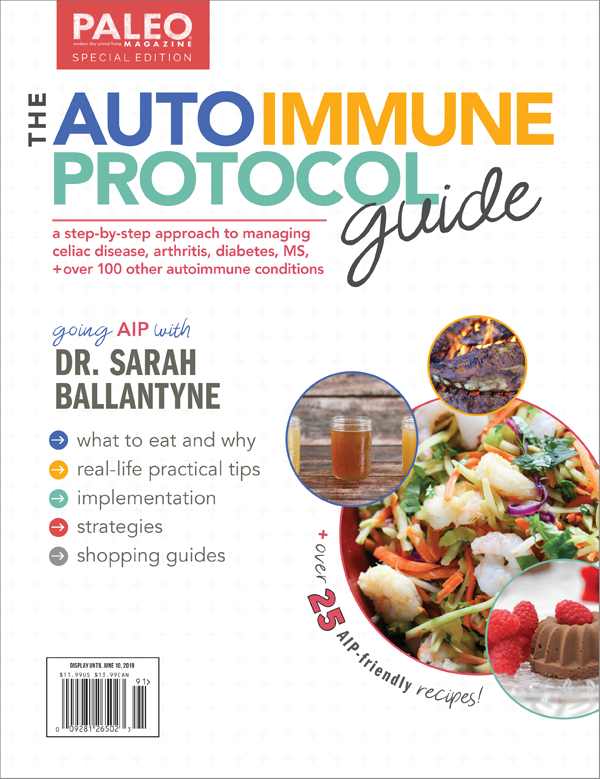 There are no dissenting viewpoints to at least demonstrate that other experts in the health and wellness field disagree (such as Dr. Terry Wahls, whose dietary approach to treating disease definitely includes animal products!). This documentary leaves viewers with the impression that doctors only fall into one of two categories: those who side with corporate interests, or those who side with the plant-based ideology. What the Health?! Dietary Sodium and Cholesterol: Still Villains? On multiple occasions, What the Health cites animal foods as problematic for two reasons that, by now, should be long debunked: sodium and cholesterol. Didn’t we bust these myths years ago?! For example, early in the film, Dr. Michael Greger explains that chicken is the leading source of sodium in the American diet, with even “all-natural” chicken getting injected with saltwater that can increase its sodium content by many hundreds of milligrams. Dr. Joel Kahn adds that chicken has nearly as much cholesterol per gram as beef. These points are supposed to make us think twice about eating this supposedly healthy white meat. The problem is, dietary sodium and cholesterol should be the least of most of our worries! In “Is Salt Paleo?”, we saw that the sodium-to-potassium ratio may be more important than sodium intake alone when it comes to blood pressure and cardiovascular health. Higher sodium intake is mostly a concern in the presence of low potassium (AKA, diets that are low in leafy greens and other vegetables, bananas, sweet potatoes, avocadoes, and other potassium-rich plant foods). 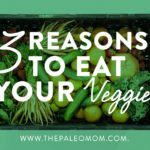 The solution shouldn’t be to start sweating our sodium intake, but to eat plenty of veggies… along with our high-quality, nutrient-dense animal products! When it comes to cholesterol, the story is similar. 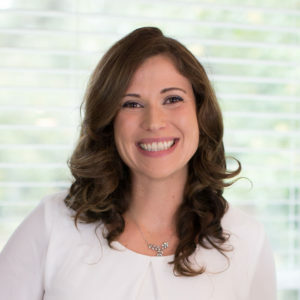 While a minority of the population does fall into the category of cholesterol hyper-responder (that is, their bodies don’t fully reduce cholesterol production in the presence of dietary cholesterol, leading to higher blood levels), high-quality meta-analyses have failed to confirm that dietary cholesterol poses a risk to cardiovascular health. In fact, both the American College of Cardiology/American Heart Association Lifestyle Guideline for the Reduction of Cardiovascular Disease and the USDA Dietary Guidelines for Americans have removed their advisory to limit dietary cholesterol, due to insufficient evidence that this nutrient is even harmful. One of the most troublesome aspects of What the Health is its interpretation of the scientific literature. If we search PubMed long enough, we can find a study to back up nearly any nutrition claim we want to make, no matter how accurate it really is (or isn’t!). That’s because individual studies are vulnerable to design flaws, reporting errors, bias, or simply chance findings that will never be repeated again, making them look like evidence to support a particular belief. Hence why replication and meta-analyses are so important: they help clarify what findings are consistent and real, and which are just a fluke! Unfortunately, What the Health falls victim to the “PubMed Warrior” syndrome, in which single studies (or even single sentences from single studies!) are cherry-picked and then used to prove a point. Here’s a perfect example. Around minute 16:33, the documentary cites a 2010 prospective cohort study showing that for men with prostate cancer, eating lots of chicken is associated with a four-fold increase of progression or recurrence. Based on this, Kip asks why the American Cancer Society (which supports poultry consumption) would encourage people to eat a carcinogenic food. What does this tell us? Again, it’s super easy to find a study that says what we want it to say in order to support our existing beliefs. Instead of presenting a balanced and accurate picture of the literature, What the Health zooms in only on studies that indict meat or support plant-only diets. The result is bad science across the board! The Standard American Diet: Animal Foods Are the Problem?! Another problem in What the Health is how it conflates animal products with the Standard American Diet. Throughout the film, we see meat, dairy, and eggs cited as the reasons the American diet is so unhealthy (even sugar and other processed carbs get relatively vindicated!). Because of this, when Kip interviews patients who reverse their severe health issues by radically changing their diets, the implication is that their healing comes from eliminating animal products. But, is this really the case? Let’s look at some of the “miraculous recovery” patients highlighted in What the Health. 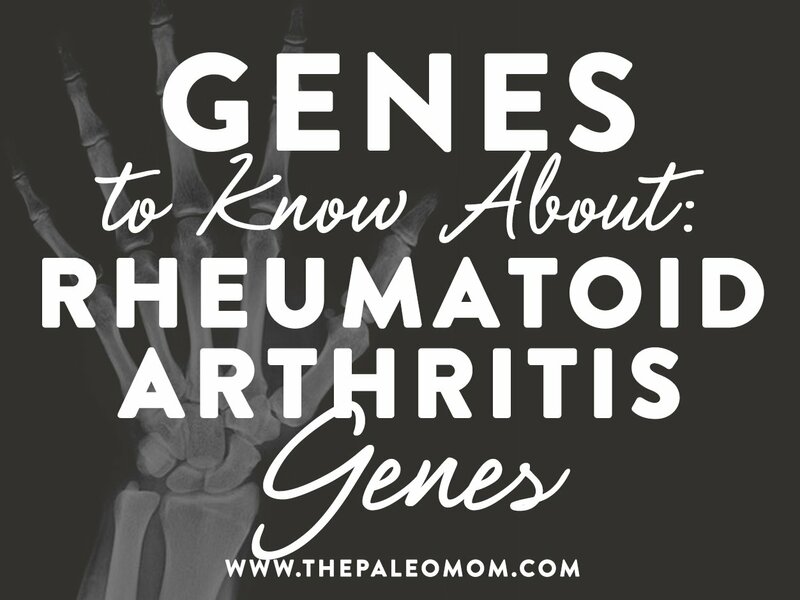 These include 51-year-old Amy Resnic, who has severe asthma and sky-high levels of C-reactive protein (indicating severe inflammation), and 61-year-old Jane Chapman, who has severe osteoarthritis in her hips (and is due for two hip replacements). After being introduced early on in the film, both of these women attend the TrueNorth Health Center for two weeks, undergo diet overhauls, and come back healthy enough to clear out their cabinets full of medications. Strangely, the documentary doesn’t specify what changes they made to their diet and lifestyle, leading us to assume they just eliminated animal products and got healthier as a result. But, a little digging gives us a much different picture! It turns out the TrueNorth Center integrates fasting with a whole-foods, unprocessed, plant-based diet that eliminates not only animal foods, but also sugar, oil (including vegetable oils), and salt. So, the diet is free from virtually all junk food, is devoid of processed grains and sugar, has a lower omega-6 content due to the absence of vegetable oils, and is going to be extremely rich in phytochemicals and fiber due focusing only on whole plant foods. When these women embark on such a diet and rapidly heal, how on earth can we say it’s from avoiding animal products and not from the numerous other changes they’ve made to what they eat?! Industry Sponsorship: More Reason to Avoid Meat? Although What the Health toes the line between “vegan documentary” and “conspiracy documentary” from pretty early on, it makes a turn towards the latter about midway through the film. After Kip gets a flustered reaction from the American Diabetes Association’s chief medical officer (who refuses to talk about specific diets for diabetes, and walks away dismissively as Kip interrogates him), Kip starts feeling like he’s “digging into something [the medical officer] didn’t want him to uncover.” So, Kip goes home to do some research in the University of Google. In an a-ha moment, Kip decides to string together the search terms “American Diabetes Association” and “sponsor” and finds out the ADA receives funding from Dannon, Kraft, Bumblebee foods, and other makers of animal-based foods. He then Googles “American Cancer Society sponsor” and finds out the ACS receives funding from meat producers like Tyson and Yum brand. The rabbit hole goes deeper and deeper as he also finds out the American Heart Association is supported by various meat producers. Is meat-industry sponsorship the con of the century?! In reality, corporate sponsorship really can be a problem for influencing major health organizations, sometimes at the expense of science-based information that would benefit human health. But, there’s nothing here that’s specific to the meat and dairy industries (the grain industry, sugar industry, seed oil industries, and many other industries are also fighting for their own best interest! ), or that proves meat and dairy are categorically dangerous to consume. In order to claim the latter, we’d need to look directly at the scientific literature instead of pointing fingers about where major health organizations get their money. Factory Farming: Yes, it’s a Problem! Ahhhh, finally something we can all agree on! A sizeable portion of What the Health goes to the horrors of factory farming, including the effects on the environment, on humans, and on the animals themselves. For example, around minute 34:00, we learn that over 450 drugs are administered to farm animals, and that the pharmaceutical industry sells 80% of its antibiotics for use on livestock rather than on people! Antiobiotic and other microbial residues are then found in the meat we consume from these animals. And, we don’t have robust safety testing to see how these residues impact human health (though we do know that deaths from antiobiotic resistant bacteria, which arise in part from current factory farming practices, number in the thousands each year). Likewise, we get a peek into the lives of people who live near major farming operations, such as hog farms in North Carolina (where there are the same number of pigs as there are people!). Disturbingly, North Carolina’s 10 million pigs produce as much waste as 100 million adult humans… a major issue for the environment and for the safety of residents living near hog farms (where feces are collected into giant waste pits, seep into rivers and streams, and get pumped unfiltered onto fields). The environmental hazards surrounding commercial farming operations increase the risk of numerous diseases, including asthma and cancer, and can devastate the lives of nearby residents. But, once again, the documentary misses the boat when it comes to solving this crisis. There’s no doubt that America’s agricultural practices need a giant revamp, but that doesn’t mean the answer is to go vegan! Supporting small, locally-owned farms instead of large commercial farming operations (voting with our dollar through our meat and dairy purchases) is another way to help transform the current problems our farming systems face and produce healthier, more sustainable animal foods. In fact, animals play a critical role in agriculture not only by providing food, but also by helping recycle nutrients, adding to soil fertility, and (when raised correctly) positively impacting local ecosystems, so removing them from the agricultural landscape entirely would be a net negative. Not surprisingly, What the Health doesn’t discuss alternatives to factory farming, instead presenting only one solution: ditch animal products entirely. 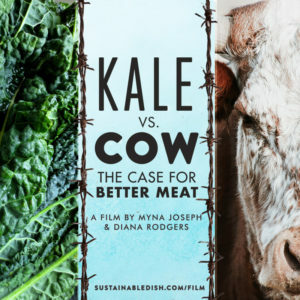 This is a great opportunity to mention an upcoming film documentary project Kale vs. Cow spearheaded by my friend Diana Rogers RD of SustainableDish.com, which is in need of your support! This documentary probes the fundamental moral, environmental, and nutritional quandaries we face in raising and eating animals. Kale vs. Cow particularly focuses on the largest and perhaps most maligned of farmed animals, the cow. Please consider making a donation in any amount using their crowd-funding site to demonstrate the demand for accurate, science-based documentaries that provide balance to tough questions! That’s right: all we have to do to get 80 grams of protein from plants is eat 2000 calories of broccoli and rice. That’s 2.5 pounds of broccoli and 4.3 pounds of cooked rice, by the way. No problem, right? We can totally fit that in our stomachs! Here’s the deal. Plants (even fibrous veggies like broccoli and leafy greens) do contain amino acids, the building blocks of protein, and as a percentage of total calories, their protein content can appear fairly high. That’s the part that vegan proponents often point to. But, these foods are so voluminous that eating enough of them to actually get that protein is a full-time job (if it’s even physically possible to consume as much as we would need!). While it can definitely be possible to survive as a vegan without becoming protein deficient, the optimal intake for supporting lean muscle tissue and overall health is much easier to obtain by eating high-quality protein from animal foods. But, what about gorillas, who share much of our primate physiology and get huge just eating leaves? As we saw in “The Diet We’re Meant to Eat, Part 2: Physiological & Biological Evidence,” comparing other primates to humans is pretty misleading on the diet front. In a general sense, the “design” of our digestive tract is similar to our great ape relatives: we all have the same gut anatomy from the stomach straight down to the colon. But, that’s where the similarities end. 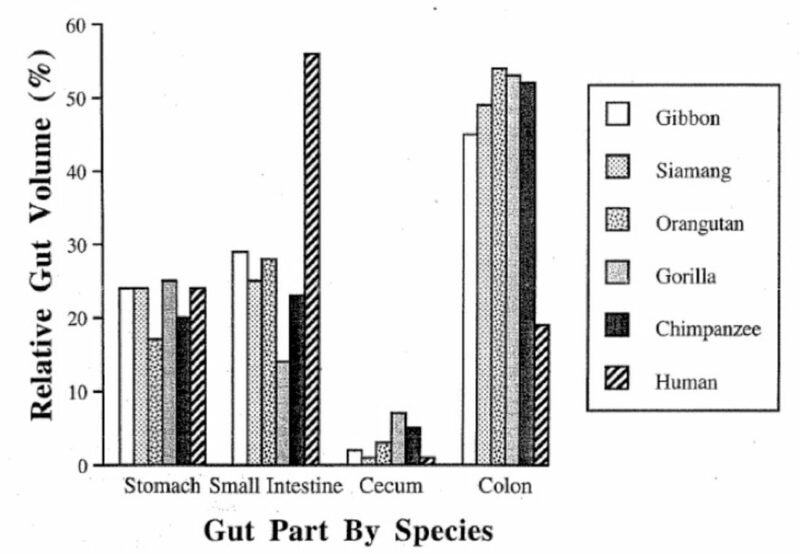 In humans, the greatest total gut volume (over 56%) is in the small intestine, whereas in other primates like gorillas, the greatest total gut volume (over 45%) is in the colon, where fibrous plant material is broken down. Basically, human colons are proportionately much smaller than we see in other primates, who have giant hindguts perfect for breaking down woody seeds, seriously tough plant fiber, and other bulky material. That’s why creatures like gorillas can obtain huge amounts of nutrition from plant foods that humans can’t even digest! If we literally tried to eat like a gorilla, we’d perish pretty quickly. Bottom line? As we kick off 2018, many of us will be diving into New Year’s resolutions, revamping our diets, and making a bigger commitment to our health. It’s important that we don’t let bad science influence our choices and lead us to remove important, nutrient-dense foods from our menu! (Check out Paleo Diet Clinical Trials and Studies and my thoroughly-researched book that presents the scientific evidence for a veggie-laden nutrient-focused Paleo diet, Paleo Principles).What the Health offers some eye-opening stats on factory farming and industry funding, but when it comes to nutritional information, it’s credibility is close to zero. 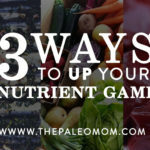 Our best bet is to eat a diet rich in unprocessed plant foods (I actually do consider the Paleo diet to be a plant-based diet with 2/3 to 3/4 of every plate covered in a variety of veggies and some fruit, nuts and seeds; see: The Importance of Vegetable and The Diet We’re Meant to Eat, Part 3: How Much Meat versus Veggies?) while also embracing organ meats, seafood, broth, and other foods rich in valuable animal-based nutrients and protein. And, if you want to help support an amazing project that is providing scientific evidence for the value of sustainably- and ethically-raised meat, consider donating in any amount to the amazing documentary film project spearheaded by my friend Diana Rogers, RD, called Kale vs. Cow. This documentary probes the fundamental moral, environmental, and nutritional quandaries we face in raising and eating animals, with particular focus on the largest and perhaps most maligned of farmed animals, the cow. Diana is raising money now to kick off Kale vs. Cow. She needs the support of our community. Your contribution sends a message that this film is wanted, valued, and will answer important questions. There are all kinds of cool incentives! Let’s make sure this film reaches as many people as possible! I’ve donated (there are awesome incentives and your donation is tax deductible), and I hope you will as well! 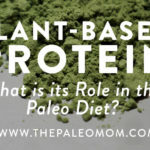 Plant-Based Protein: What is its Role in the Paleo Diet? 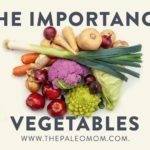 Previous Post: « TPV Podcast, Episode 281: How Many Vegetables?! Sarah, I’ve noticed you saw a point in reducing vegetables oils, to reduce omega 6 intake, which supposedly helped those patients to a better health. Since you didn’t counter this any further and the AIP diet does include a good amount of these oils, what’s your current view on this? Should we lower/remove vegetable oils for a better omega 3/6 ratio?